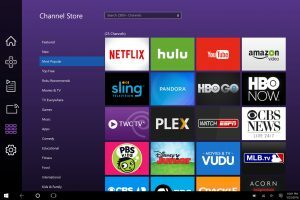 Roku Inc stock is not as expensive as you may think, but is it worth buying? Is Roku Stock Even More Expensive Than Netflix? Bloomberg’s Lachapelle noted that, by one metric, Roku stock is even more expensive than Netflix (NASDAQ:NFLX). Based on enterprise value/EBITDA, which is a popular metric for analyzing companies that do not yet have significant accounting profits, Roku stock looks exceptionally expensive. Microsoft’s (NASDAQ:MSFT) XBox, Sony’s (NYSE:SNE) Playstation, and Apple’s (NASDAQ:AAPL) Apple TV are other products that are used by a meaningful number of consumers to access streaming-video content. ROKU is competing in a highly profitable field, but it is up against quality rivals. Article printed from InvestorPlace Media, https://investorplace.com/2019/04/should-you-buy-roku-stock-3-pros-3-cons/.